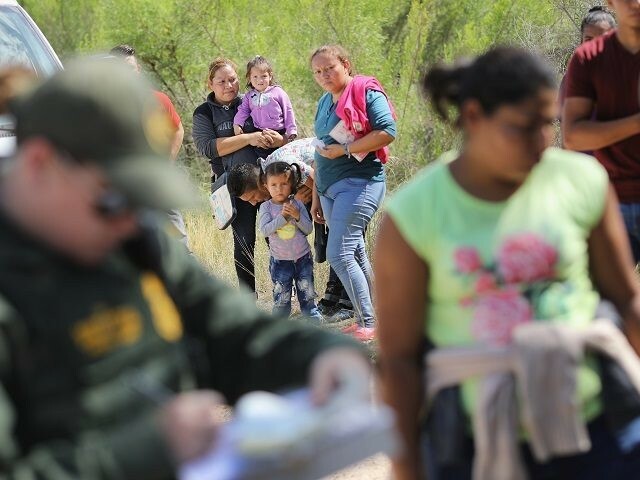 The apprehension of migrants along the border with Mexico jumped slightly in October and November to the highest levels since the 2016 election of President Trump, according to the U.S. Customs and Border Protection’s Southwest Border Migration Report released Thursday night. Border Patrol agents apprehended 51,856 migrants in total in the nine southwest border sectors in November. This is up slightly from 51,001 in October. These numbers surpass the previous high-point of 47,211 in November 2016. In November, the apprehension of Family Unit Aliens (FMUA) jumped from 23,115 in October, to 25,172 in November — an increase of nearly nine percent. However, when compared to November 2016’s 15,558 FMUA apprehensions — the numbers represent an increase of more than 60 percent. Agents in the El Paso Sector saw the largest percentage increase in the apprehension of family units in the past year. The numbers jumped from 591 in November 2017 to 11,617 for the first two monhts of this fiscal year. The Rio Grande Valley Sector continues to lead the nation with 23,012 FMUA apprehensions in October and November. In total, Border Patrol agents apprehended 202,857 since the new fiscal year began on October 1. This represents more than half of the nearly 400,000 total apprehensions in all of FY2018.